iTunes Seller:Seller: Quest Diagnostics, Inc.
• Care360 Meets the requirements for a qualified ePrescribing system for the CMS Incentive Program. 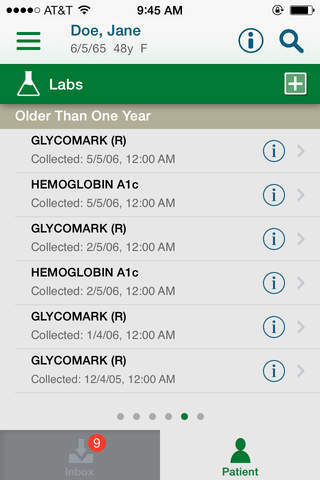 If you have any problems with installation or in-app purchase, found bugs, questions, comments about this application, you can visit the official website of Quest Diagnostics, Inc. at http://www.care360.com. Copyright © 2000-2013 Quest Diagnostics Incorporated. All rights reserved. Bug fixes affecting patient vitals and medication refills. Additional support for Auto Layout. Patient status change. Miscellaneous bug fixes.